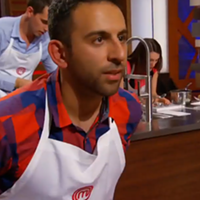 Owner of newly opened restaurant aFrite (and contestant on season 2 of Masterchef Canada) Andrew Al-Khouri says he owes everything, including his love for cooking, to his mother. So it’s no surprise he’s created an entire event celebrating and honouring her. 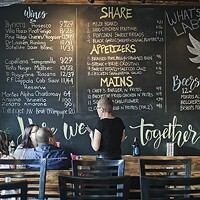 Al-Khouri is keeping the menu a surprise but reveals attendees can expect seven to 10 courses of traditional Middle Eastern food picked by his mom, Rajaa Al-Khouri. Mostly small plates and mezze-style eating. Al-Khouri says Middle Eastern food is interchangeable and there are a lot of crossovers from different countries, like Iraq, Egypt and Lebanon. This is something the menu will reflect. 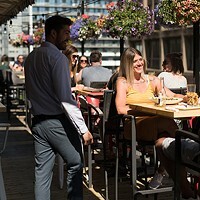 Another big component of the event, is the social aspect that will complement the small plates. There’ll be traditional Arabic music and Arabic liquor called Arak for the 35 diners that attend each of the four seatings. 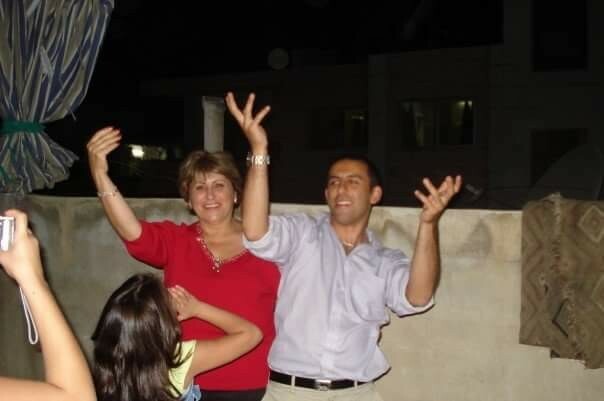 In Al-Khouri’s first and only visit to Syria, he learned that Syrian dinners are not sit-down events with formal meals, instead they spend hours chatting, dancing and eating in between. 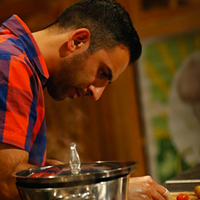 Al-Khouri says cooking isn’t just how he developed a deep connection with his mother, but it was a way of fighting sexist values in his home. 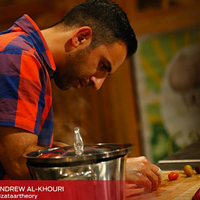 Although Al-Khouri is greatly influenced by his mom’s traditional cooking, his style differs. He leans more towards fusion foods and enjoys drawing from other cultures, like French, Italian, Thai and Mexican. “When I make French Middle Eastern fusion dishes, they work out beautifully because the French have developed such great techniques that a lot of other cultures have not,” says Al-Khouri. As for the event, Al-Khouri hopes attendees will leave understanding why he respects his mom so much.